Too much money in your pocket or just enough to help someone’s dream come to true ? Some days ago I backed my first project on Kickstarter “The Thermodo“, then I started to browse the projects and I discovered “the Crabby Wallet, a minimalist wallet that holds everything you need and nothing more”. The project was 100% funded in 24 hours! I decided to check out a little deeper how the Crowdfunding works and also to interview Ryan Crabtree who presented his first project on Kickstarter some days ago. Before going further, here are the keywords to better understand the Crowfunding. “A Project is funded when the Backers support it financially and the Goal is reached before the Deadline is up”.
. The Project, is a product/service/idea presented to an audience in order to be funded.
. The Backers are the people who believe in the project and invest some money in it.
. When the Deadline is up, the Project will exist for good if 100% founded. 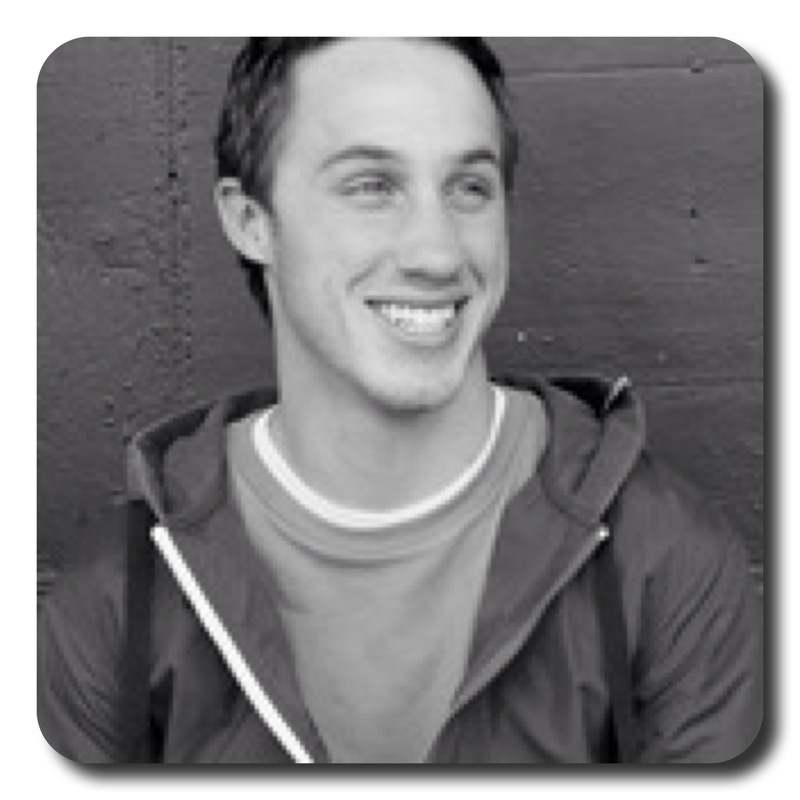 Now that we are all up to speed, let’s discuss with Ryan Crabtree, the inventor of the Crabby Wallet. 1. How did the adventure of the Crabby wallet started? It started during a softball season. I really wanted a way to bundle my phone, keys, and wallet together. I always carry these 3 things, as do most people, but sometimes they become inconvenient during sports and recreation. I am active outdoors and really wanted my wallet to be small and hold only the essentials. Tell us about the concept, how many prototypes before the Crabby wallet, any upgrade for the future? There were probably about 10+ different prototypes. I really was sewing a new wallet every night for a couple weeks. The wallet really evolved as I used it and made tweaks to it. I sent it out to other people to test and give feedback too. The keyring loop moved positions, lengths, material many times before it became what it is today, as well as the phone strap. Every part of the wallet was changed at some time or another during the process. 2. How long did you worked on your project before launching your Kickstarer page? I started the project early fall of 2012. I spent a couple months creating wallets for myself and others before I played around with the idea of posting it on kickstarter. I spend the next few months doing some heavy analyzing of successful kicksstarter projects. I began to recognize what was essential in a successful Kickstarter project. During this time, I started contacting manufacturers to help me create some prototypes that could be mass produced. They also helped me get my logo onto the wallet which I was unable to do on my own. I didn’t have the equipment to do this. After realizing my wallet was a good fit for a kickstarter project, I then spent about two months putting together the project page and video. It seems like a simple task to do this, but It really took a lot of time to make everything look the way I wanted it to. I have to give my wife credit for a great video, she helped me out with a lot on that. 3. How did you get the idea to use the crowd funding ? Why did you decided to reach out to crowd founding? My brother introduced me to kickstarter. He showed me some really cool projects that I was interested in. One of the projects, The Gliff, had already ended, but we were really intrigued by the process these guys went through to get their product on the market. From that point forward I thought about how some of my previous personal project could have been a good fit for kickstarter. After making some of the first prototypes of the wallet, and saw that other people liked them, I really began to consider kickstarter as a way to make the project a reality. It was a way that I could get funds to have a manufacturer make them. 4. Your project was funded in 24 hours. What are the next steps now? My days have been full of responding to backers questions and making sure everything is lined up to reward my backers pledges n June. I spend a lot of my day communicating details and deadlines with the manufacturer, prepping for fulfillment, and even exploring the future of the Crabby Wallet sales and companion products. I Initially thought I would strictly have online distribution after the project ends on Kickstarter, but a lot of opportunities are opening up as the project gets more successful. The future of the Crabby Wallet is changing everyday. 5. Do you have other projects? I have a whole book of ideas that has been years in the making and a lot of personal prototypes of different project that I use for myself . I hope that the Crabby Wallet isn’t a one hit wonder. I really hope to implement some of my other ideas and concepts to benefit other people too. 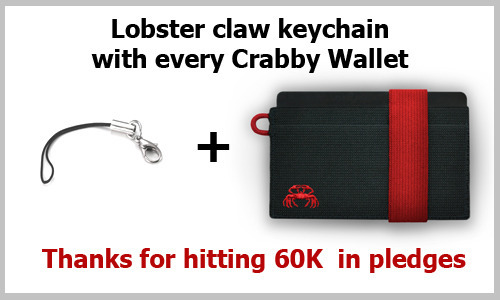 If you didn’t backed the Crabby Wallet yet, you still have time to do it but be fast clock is ticking. ← You got mail! In your #MailBox!! awesome. great share! i love innovation and hearing stories of people with big dreams. Thanks, then go on kickstarter. There are lots of projects, you need to sort it out. But I found some of great interest (my interest, so it may not match everyone’s). I’ll check it out. And you’re right, quite insightful of you. Thanks. Tell me what projects you found interesting. do you just start by browsing projects? yeah, i do the same. i like the popular section because it breaks it down by categories too. Any you like particularly ? Not yet. I saw one that was a bracelet that notified you of texts, emails, phone calls etc. if your phone was in your pocket, but I think it would be quite the conversation killer if seine kept seeing your wrist light up. haha, agreed. sometimes i force myself to leave it at home or not look at it. it effects or daily interactions with people in our immediate presence. I’m addicted to kickstarter. It takes time to browse the projects but you may discover interesting ones. And I think it’s cool to help people to achieve something. Very interesting. This sounds like ‘Shark Tank’, but without the disparaging remarks. Interesting concept. Thanks for visiting/following my blog, too. I thought it was worth sharing, and if this can help a bit, I’m happy. Sounds like a fun adventure. And who doesn’t like an adventure. You are right! Waiting for my soon. Thanks for following my blog. Have a great Sunday.